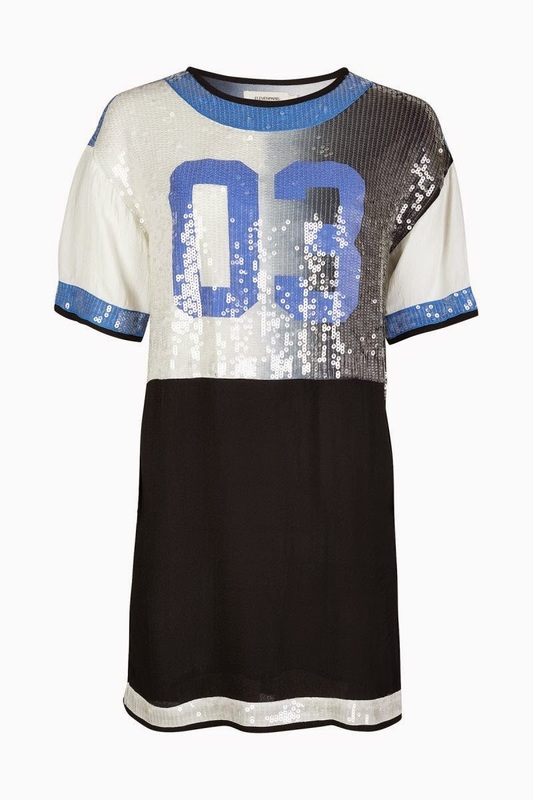 I saw a photo of this sporty sequin dress by French brand Eleven Paris months ago when I was still in Paris, in mid-January - a magazine (I think it was Company's special Parisian issue my BFF brought over) featured it in a sports-inspired spread, despite it not being out yet. I checked a couple of the Paris stores but it hadn't come in. Then back in London, every time I walked down Carnaby Street I popped in to check if it was there, to no avail. I'd resigned to the fact it either wasn't put in production and they'd used a sample photo, it sold out quickly or I'd just missed it. But I've just found it on ASOS. In the sale. Worth the wait after all! The last thing I need is another sequin minidress, but when a piece covers so many of your favourite things: sequins, sports luxe, royal blue and black and white, who needs "need".